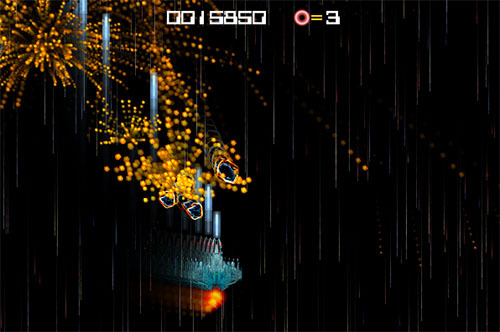 Description Armed with only 3 bombs and unlimited ammo, see how long can you survive the asteroid rush in a basic but spectacular vertical scrolling shooter. Controls Move your ship with the mouse. Press the left mouse button to launch a bomb. Well made shooting time-waster. I like those particles and blur.